Avoid surprises, know a property before you buy or sell. Buying, selling, or building a home can be one of the most exciting and stressful times of your life. Let me give you a helping hand in the process. I will be your unbiased ally, giving you the peace of mind that you know everything possible about the property, and arming you with the best information to help you move forward with your transaction. At Squared Away Home Inspections, I will strive to give you one of the most complete and comprehensive experiences in the area. 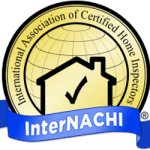 I am certified with the International Association of Certified Home Inspectors (InterNACHI), and do every inspection at minimum to their high standards. Know who is inspecting your property. 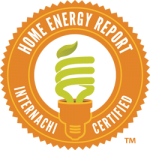 The state of Michigan has no regulatory requirements for home inspectors, anybody can be one. 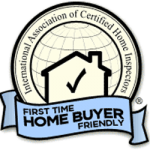 I am certified with the International Association of Certified Home Inspectors, which means I have the education and knowledge you deserve and desire from the person inspecting, what is likely, the largest purchase you have ever made. My experience and work ethic, combined with the desire to go above and beyond for you make me the ideal choice for your home inspection. Macomb County: Clinton Township, Macomb Township, Harrison Township, St. Clair Shores, Fraser, Grosse Pointe Shores, Mount Clemens, Sterling Heights, Utica, Warren, Centerline, Eastpoint, New Baltimore, Richmond, Roseville, Armada, Bruce Township, Chesterfield Township, Shelby Township, Washington Township. 48005, 48015, 48021, 48026, 48035, 48036, 48038, 48082, 48043, 48044, 48045, 48046, 48047, 48048, 48050, 48051, 48062, 48065, 48066, 48080, 48081, 48082, 48089, 48090, 48091, 48092, 48093, 48094, 48095, 48096, 48310, 48311, 48312, 48312, 48313, 48314, 48315, 48316, 48317, 48318, 48397.